Home » Review » Fused Focus Review: Can This Supplement Really Increase Your Focus? We don't get the chance to review a good nootropic every day... That's why, we are really proud to present Fused Focus, a brand new mind-building supplement that aims to set the record straight. Is it any good? Should you purchase it? Find out all that and more by reading the full review down below! Nootropics haven't been on the market for too long, but they have already established themselves as one of the most popular dietary supplements in the world. And mind you, not only bodybuilders use them. They're also heavily used by professional gamers who must keep their focus and cognitive functions at the very best all the time. However, Fused Focus is not your typical nootropic. Come to think of it, it is not even properly marketed as one. Instead, it aims not just to give you a better mindset but to also improve your energy and give you a better sense of well-being. By looking closer at its ingredients and dosages, we'll be able to tell you whether or not Fused Focus can actually do the things it claims. So, without further adue, let's kick things off! Anxiety reduction, sleeping enhancer, and energy booster… Bacopa Monnieri brags with all those titles so it is not surprising to see its extract in a whole bunch of supplements. This is an ingredient with many beneficial effects. Among the most notable ones are surely stress and anxiety reduction. Additionally, it also increases dopamine levels and affects the body in a similar way to caffeine. Alpha GPC is a chemical which is used as a medicine for treating, among others, the Alzheimers disease. That's because of its acetylcholine increasing effect which leads to improved memory and learning capability. Bilberry is a fruit with an incredible number of medicinal uses. But, the reason why it's inside of Fused Focus is due to its beneficial effects on one's eyes. Apart from reducing eye strain, it also relieves pressure around the area and allows users to continue with their work. A huge tree whose leaves are used for treating Alzheimer's disease as well as a plethora others. Among them are several eyes-related issues which lead to believe Gingko Biloba is here for the same reason as Bilberry Fruit Extract. As you can see, the dosages of all 3 active stimulants are more than appropriate. This ensures you'll be experiencing most (if not all) of the described beneficial effects. Are there any side effects Fused Focus could cause? As far as side effects are concerned, you could only experience occasional headaches due to caffeine and/or Alpha GPC. These will be more frequent with people who don't drink coffee on a daily basis. What do other users have to say about Fused Focus? Considering this supplement has been on Amazon for quite some time now, it's not surprising to see a whole bunch of reviews available. Below you can read a few which portray a good picture of Fused Focus. I'm not one to take supplements to improve my way of living but recently I needed some sort of boost. Some of my friends take adderall but I wanted something natural. This is what I tried and it has absolutely changed my day! Do you want to buy Fused Focus? Consider yourself lucky – Fused Focus is currently on sale on Amazon and you can get it for only $16.35! Buy Fused Focus via Amazon for $16.35! Where to buy Fused Focus? If you like what you are reading here and you'd like to try Fused Focus out for a spin, you'll be happy to know it's available via Amazon. It's available at a huge discount at the moment so hurry up! This ingredient has plenty of positive effects including sleep enhancement and anxiety/stress reduction. Probably the most popular stimulant in the world. For those of you who don't know – Caffeine is well known because of its ability to produce a clean, long-lasting energy that will last throughout the day. A powerful ingredient that affects the body in a similar way to caffeine. Theacrine is used in plenty of supplements due to its energy-boosting traits. In addition to energy increase, Theacrine users also experience stress reduction and improved mood. Pain around the head area that could, with time, extend to neck, shoulders and back. If you use Fused Focus and suddenly experience a mild headache, it could be because of your body's reaction on caffeine or alpha GPC. The main 3 ingredients in this supplements are Caffeine, Theacrine, and Bacopa Extract. All of them are considered as extremely powerful and, with the above-stated dosages, they'll most certainly make a difference. So, short answer – yes, Fused Focus does indeed work! 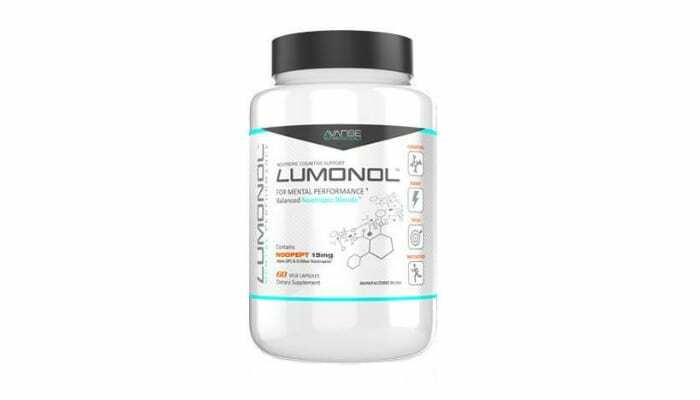 Nootropic supplements are a relatively new type of supplement that is becoming massively popular not just for bodybuilders but for virtually everyone… including professional gamers who are topping the charts. Nootropic supplements aim to increase your cognitive functions as well as provide you with plenty of energy and focus. Where can I buy Fused Focus? Like I said above, Amazon is the place where you want to buy Fused Focus from. Not only is it the world's best online marketplace but it also features a 57% sale at the time of writing this review.